Miss Mesh represents the new advanced managerial office chair with a backrest completely upholstered in an extraordinary and performant mesh. Characteristic of the chair is its embracing mould and the armrests which are integrated, the metal tube stainless frame (diam. 22mm) well support the new mesh adorned with horizontal embroider. The Memory seat is always equipped with seat slide and weight-sensitive synchronized mechanism of next generation, lockable in 5 positions. Miss Mesh is also available with “Evolution” a new seat with integrated switch mechanism that allows the movements and adjustment. 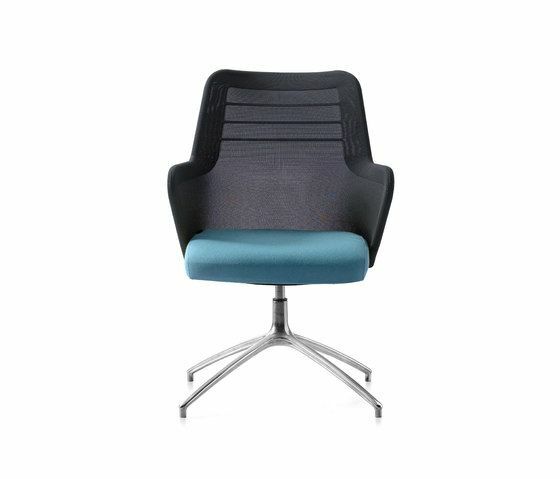 The chair complies with DL626/DL81 – EN1335B/1IMfire retardant.